If you are looking for an affordable Christmas holiday, in an exotic location with balmy temperatures, then Thailand may be the answer. Exotic may be exciting, but it doesn’t have to mean expensive. 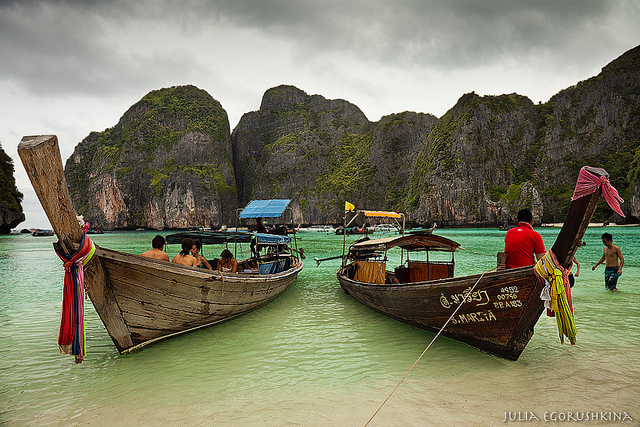 Costs in general have gone up, but Thailand remains a very inexpensive place to visit. It is possible to manage the costs of accommodation, transport and food to make a break in Thailand affordable. The first thing you need to decide is where you want to go. If you are looking for a quiet relaxing break then the bars and parties of Pattaya or the Full-moon party islands might not be your first choice. However, these spots can have cheaper accommodation options as they cater for a wide range of visitors. Alternatively, if you want to lie on the beach there are two main ways to keep accommodation costs down. The first is to look at renting a holiday apartment. Rates can be lower than hotels, but they often require a minimum length of stay. However, if you prefer a hotel, any tourist destination will have plenty of competition, and great price-matching deals can often be found. Once you have your destination sorted, you need to get there. Various budget airlines offer affordable flights from Bangkok to many of the popular island destinations, Phuket, Koh Samet, Koh Samui etc. If you want to pay even less for transport, so-called “VIP” buses are cheap, comfortable and plentiful. Minivans cost about the same as VIP buses but if you have long legs, or lots of bags, they are not the most comfortable option. If you want to pay next to nothing, there are always the local buses which stop often, have plenty of people on-board and are more of an adventure than a pure form of transport. Thai cuisine is known for its flavour and fresh ingredients. Eating local food, cooked in a blazing wok while you wait, is an easy way to eat well and cheaply. Beers and soft drinks are cheap, but if you choose to go to tourist bars you may find prices are more expensive. Supermarkets and convenience stores are everywhere, and you will be able to self-cater or pick up familiar products – if you want them. The period from November through to March is one of the best times to travel to Thailand. The tropical rains are gone and the temperatures are warm. Wherever you go you will find Thai people are genuinely friendly, cultural diversity and places to relax. ← Chicago or New York? You choose!